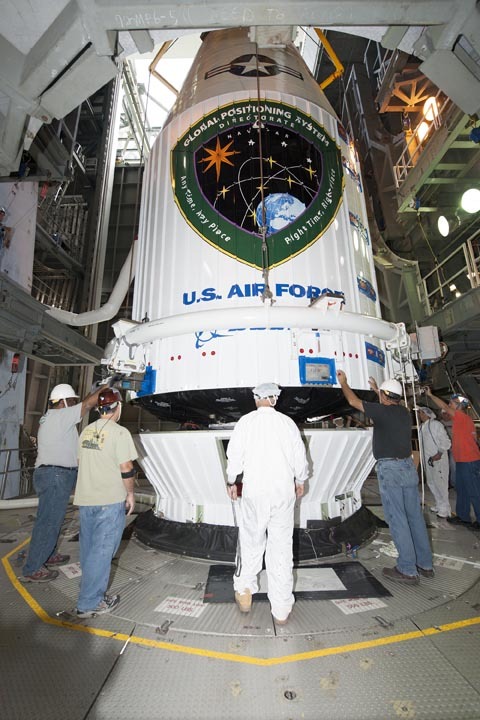 Suspected faulty components in a Delta II rocket are delaying the launch of the final two modernized GPS Block IIR satellites, possibly preventing the early broadcast of an L5 civil signal that faces a 2009 deadline for being on the air. According to Air Force officials at the GPS Master Control Station, Schriever Air Force Base, Colorado, and Patrick AFB near the Cape Canaveral launch site, the questionable component is the 40-second timer that triggers separation of the third stage booster from the GPS space vehicle. Affected are both the 20th Block IIR-M, which had been scheduled to launch this month with a civil L5 test signal enabled in the navigation payload, and GPS IIR-21. IIR-20 is at the Kennedy Space Center now, where the possible fault was detected in pre-launch testing. 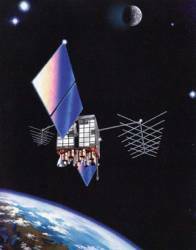 Separation failure would prevent the GPS satellites from reaching orbit. Air Force officials assessed the risk as “medium to high,” for a failure in the $100-million-plus mission, counting the costs of both satellite and launcher. The Air Force is procuring a new lot of 40-second timers, according to the Launch and Range Systems Wing at Patrick AFB. These timers will undergo standard production and qualification testing, which affects Delta II launch dates. Options are being reviewed for GPS IIR-20(M) and GPS IIR-21(M) launch dates; new dates are forthcoming. L5 Signal Ready to Go. Meanwhile, the USAF is poised and ready to demonstrate the United State’s ability to transmit an L5 demonstration signal (1176.45 MHz) from GPS orbit pending successful launch of SV-09, according to Air Force Captain Brian Adcock, Chief of the NAVSTAR Operations Support Office (NOSO) and Test Director for the L5 R&D demonstration payload at Schriever AFB. The L5 demonstration is scheduled to take place soon after the GPS satellite containing the L5 R&D demonstration payload is launched and brought into operation. The Air Force Frequency Management Agency will help file with the ITU after the signal is brought into use, thereby claiming protection in the L5 spectrum. 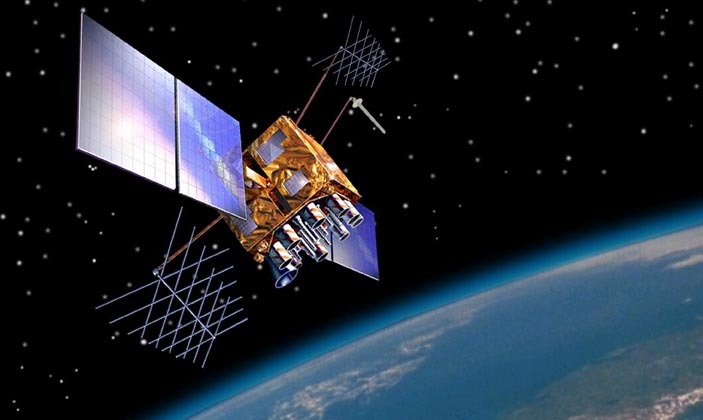 The GPS IIR-M Program Management Office team consisting of Ms. Mary Guyse and USAF Captain Brad Myers worked closely with Lockheed Martin to develop an on-orbit demonstration capability for the new civil signal. Adcock was recently named test director to the lead the L5 effort as Captain Myers transitioned to a new assignment. To date, the L5 R&D Demonstration payload has been successfully designed, integrated into IIR-M SV-09, fully tested, and delivered to the Air Force on time and within budget. The Air Force has completed IIR-20 (SV-09) compatibility testing at Cape Canaveral and has proven the procedures to successfully operate the space vehicle, including the L5 payload, Adcock says. Concept of operation, mission support procedures, and crew training have been provided to the operational squadron (2 SOPS) at Schriever AFB. The on-orbit test plan has been approved by Air Force Space Command, and the L5 test procedures are complete and ready for implementation. Meanwhile, the first IIF space vehicle is reportedly doing well in thermal-vac tests in El Segundo, California, with a nominal launch date of February 2009. However, that launch may be postponed to May. The first GPS IIF launch will be aboard a Delta IV launch vehicle. 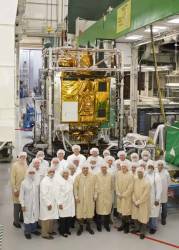 The GPS IIF spacecraft is capable of launching on both Atlas V and Delta IV boosters.